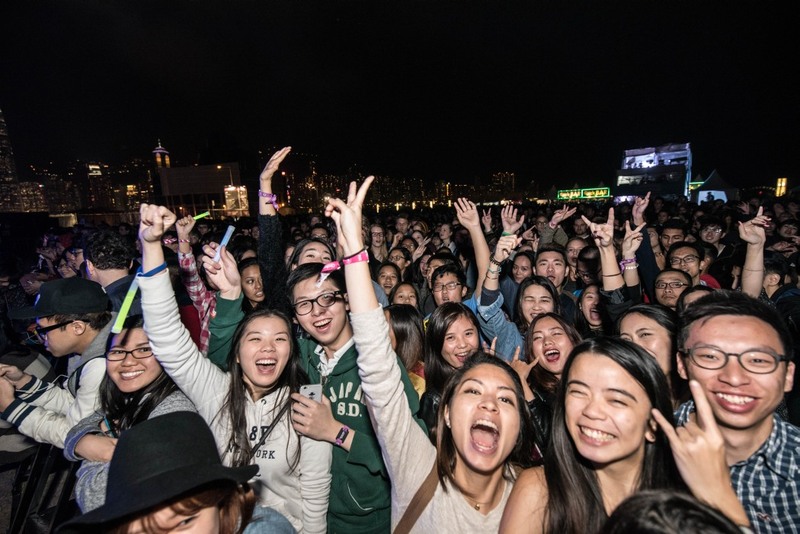 We asked our friends in the local music scene to give us their take on Clockenflap 2015. Wong Chi-chung is the assistant director of HKU General Education Unit and a radio host on Commercial Radio. Yuman Ng is the founder and director of III records. Rick Boost is the head of creative production at Billboard Radio China. Chris B is the founder of The Underground HK and Yuen Chi-chung is a music critic and writer. What was your favourite performance at Clockenflap? Yuman Ng: New Order. I had waited them for over 10 years. 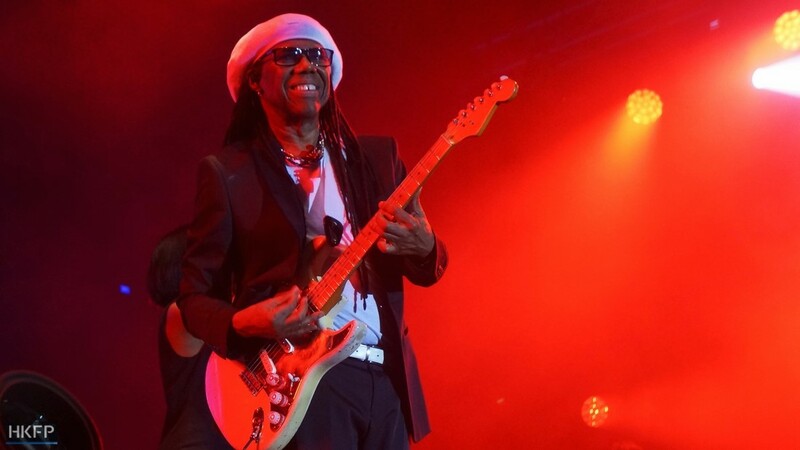 Rick Boost: My favourite performance at Clockenflap had to be Nile Rodgers. I think he truly surprised people. As well as delivering a smashing performance, he connected with the audience on a personal level. The man has total sincerity. Chris B: The Earth, Wind & Fire Experience. Yuen Chi-chung: New Order, I’ve waited for them for decades. I was quite emotional when I saw them – and I can sing along to every song. It’s a band that I grew up listening to. Even though other performers were fantastic, they still couldn’t compare, in my opinion. Ride is another band that I’ve waited for over 20 years. Best live act in your opinion? Wong Chi-chung: Chic featuring Nile Rodgers. Yuman Ng: New Order, especially when they played Your Silent Face and Love Will Tear Us Apart – I totally lost control. Also when ANWIYCTI was playing on the ATUM stage this year, it was an amazing feeling for us. Rick Boost: I would also have to say that Nile was overall my favourite live act. He blew a lot of younger artists out of the park. Yuen Chi-chung: Battles – I knew they were going to be great live. Wong Chi-chung: Chilling and napping on the lawn. Rick Boost: I think my favourite moment at Clockenflap was hanging out with Damien Rice backstage. He was absolutely enthralled with life in Hong Kong and he is a genuinely kind person on top of being a magnificent performer. Another great moment was when I got to be a part of a crowd dancing to Mr. Scruff’s mix of Sing Sing Sing. Its not often you see a group of people in 2015 shaking it to a swing number from the 1930’s. Yuen Chi-chung: When I was performing at the Robot stage – I get quite early slots every year, and at first there are always only a handful of people, but I like watching them slowly pour in and gather, and then dancing to the songs I play. Any acts that surprised you? Wong Chi-chung: Leah Dou – there was too much hype surrounding her, which could be fatal, and she still need more time to gear up. I also feel bad for her, she’s under a lot of pressure. And also Yoyo Sham – she’s usually great for evening and indoor, but her Saturday 3pm set worked surprisingly well. Yuman Ng: YoungQueenz, Bo Ningen, Ratatat. 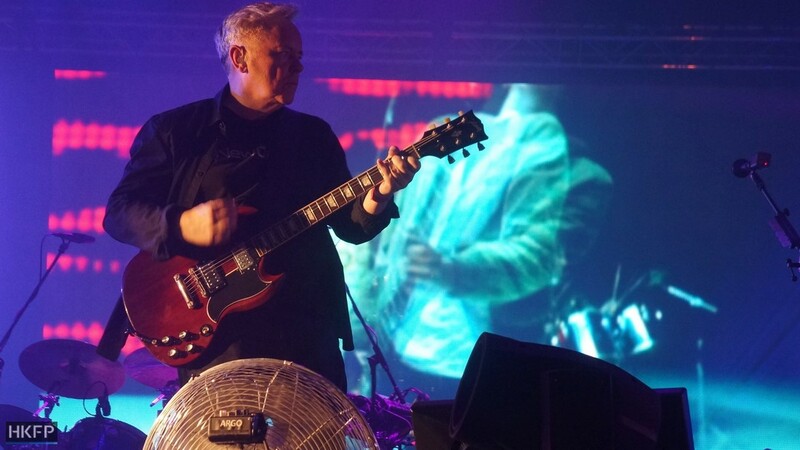 Rick Boost: I was surprised by New Order and not pleasantly. Their interaction with the masses was minimal, their was no flair to their presentation, and in general they seemed to be just going through the motions. I did get to see Blue Monday live though so I can tick that off the bucket list. Yuen Chi-ching: I didn’t think some bands would be so interesting – like the Japanese band Bo Ningen, they’re crazy. You have to see them live to experience how great they are. And also Julia Holter. Anything you’d like to see changed about Clockenflap? Wong Chi-chung: [There was] too much second-hand smoke which [gave] me a sore throat and [it was] bad for the kids around. 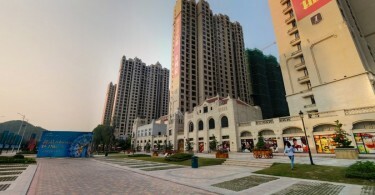 So smoking free zones will be highly appreciated. 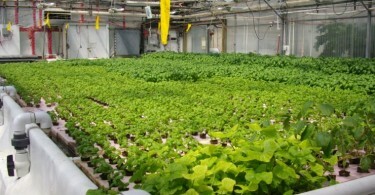 As for the food, the prices [were quite high] on average, and there were not enough vegetarian choices. Also with the toilets, though the janitors are working hard to clean up, it’s just not enough people dealing with so many people and toilets. The family area activities were not as exciting and spacious as before. And also there’s the issue of artists who swear – since kids under 12 are free to enter but then they are all exposed to swearing. Yuman Ng: Everything is better – for me, this is the No.1 festival in Asia in terms of lineup. Rick Boost: I think that Clockenflap needs to sort out the money system. They’re getting better but being able to link your spending wristband to your credit card would be helpful. I heard too many stories of people missing acts they wanted to see because they had to walk all the way back to an ATM at Kowloon station. I’d definitely also recommend they work with the vendors over prices. $50 for a microwave hot dog is pretty nuts. Chris B: More toilets more toilets and MORE toilets. Yuen Chi-chung: More vegetarian options, since I’m vegetarian. And the toilets near Harbourflap stage are always full – I wanted to run in before New Order, but there was a really long line. I had to sneak off to the backstage to go. Wong Chi-chung: Lying on the grass, and at the VIP lounge for cleaner toilet and free F&B (thank god). Yuman Ng: Drinking, listening to new music, dancing, and buying band merchandise. Rick Boost: In between acts I was generally running round trying to sort out interviews but when I got time to breathe there was nothing better than sitting on the grass with my mates soaking in the vibes. Chris B: At the family area. Yuen Chi-chung: It’s a bit complicated for me – on Saturday I was a performer, and I was there quite early, so I needed to find a place to chillax. When there wasn’t much I wanted to see I would go drink backstage. I also like taking pictures, so I’m always near the photo zone. On Sunday I don’t think I’ve sat down for more than five minutes, because I kept running from stage to stage, watching performances and taking photos. Who would you like to see at Clockenflap next year? Wong Chi-chung: More rootsy and world music performers, such as Ziggy Marley, Jack Johnson, Zee Avi, Taimane, Peter Gabriel, and artists from Real World Records. Also more post-rock, like Sigur Ros. And more local bands and indie artists – they should consider setting up a stage for this. And finally, big names in pop, like Suede. Yuman Ng: Teenage Fanclub, The Stone Roses, and The Prodigy. Yuen Chi-chung: It would have to fit the context of an outdoor festival, some acts don’t work, like quieter performances or those which are good for small intimate shows. Probably King Crimson – they’ve played in Japan recently. They’re the gods of progressive rock. Rick Boost: Clockenflap is something truly special. I know that some were bemused by the lineup this year not being quite as glitsy as they’d expect. However I think I get what they’re doing. 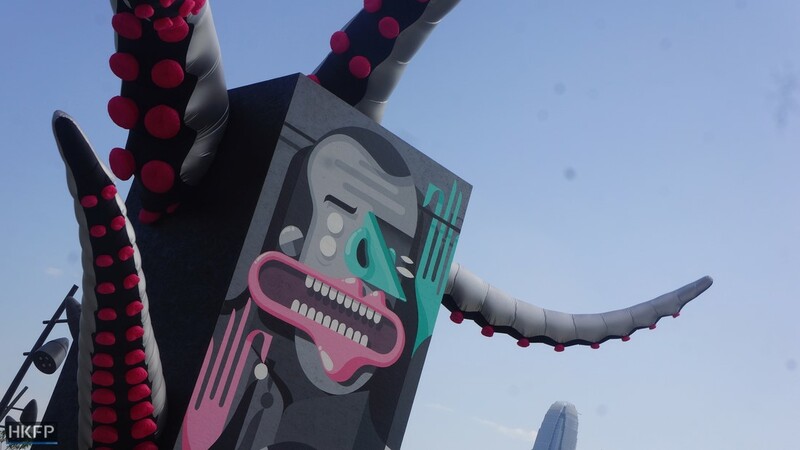 Clockenflap is its own little world where the odd, the strange and the different is embraced. There are plenty of people who attend just to look fashionable but there is a real spirit of goodwill and creativity there. In Hong Kong that can be hard to come by.